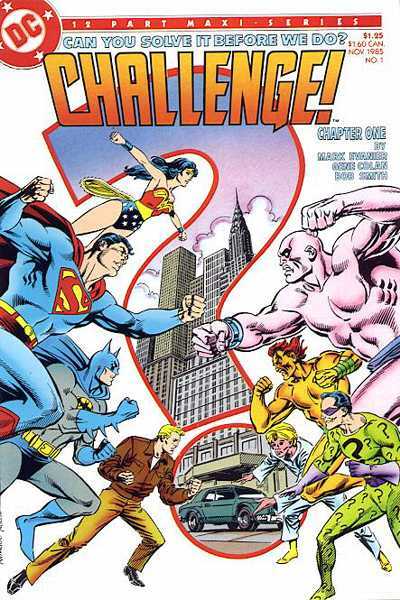 DC Challenge is my favorite comic-book series of all time. The premise of the story was that 12 writer/artist teams did a round robin, where a new team took over for each issue and had to resolve the cliffhanger from the previous issue. Thanks to the editorial hand of Robert Greenberger, the story managed to end up with an almost perfectly satisfying resolution after a year's worth of incredibly bizarre story lines. This series was my first introduction to some of the more obscure characters of the DC universe, such as Dr. Thirteen and Space Cabby. Somewhere in storage I have my original set, and over the years I bought two more sets, just in case. They are also in storage. But recently, I found myself wanting to re-read the series yet again. Today's New York Times Banner Headlines - Three In All! I've mentioned before my interest in banner headlines, specifically the ones from The New York Times. Today is a very interesting day for such headlines, as by one count, there are THREE different versions. When I picked up my print paper this morning, I found the first of the headlines presented below. It appeared to me that for the national edition, they hadn't had time to update the front page with news of the Brexit vote. Checking the website, however, I see that the New York edition did have time, but also included the news of the Supreme Court decision. See the second picture. However, on the website this morning (and when I should start counting website banner headlines is still something I haven't determined, I found the third version, which is only about Brexit. This picture is for you, Mom. I wish you were still alive to see it. You died in 2007, before the historic elections of 2008, 2012, and now (I hope) 2016. You had no way of knowing what was going to come next. I remember how you told me once what it was like for you as a little girl, growing up thinking Roosevelt was king, and what a shock it was for you and your friends when he died and you suddenly had to adjust to a new president for this country. Your granddaughters were born in the first year of the first black president. All their lives, that is the president they have known. If all goes as I expect and hope it to, for the next eight years they will know a woman president. 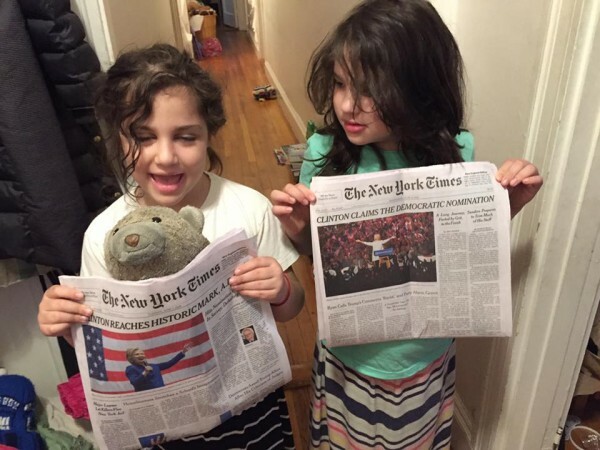 For almost their whole childhood they will not have known a white man as president. Given the 43 presidents this country had beforehand, I think that is a remarkable achievement. Your granddaughters are growing up in a world where they will be able to envision themselves realistically in so many more roles than you were allowed to. I remember your stories about fighting to go to Columbia Law School and about graduating in 1964 to find that law firms did not want to hire a woman. Today, much of this country is posed to hire a woman as president. And perhaps, one day, that might even include one of your granddaughters. "My Harvard Twenty-fifth Reunion is next month and I am scared to death. "Scared to face all my successful classmates, walking back on paths of glory, while I have nothing to show for my life except a few gray hairs. 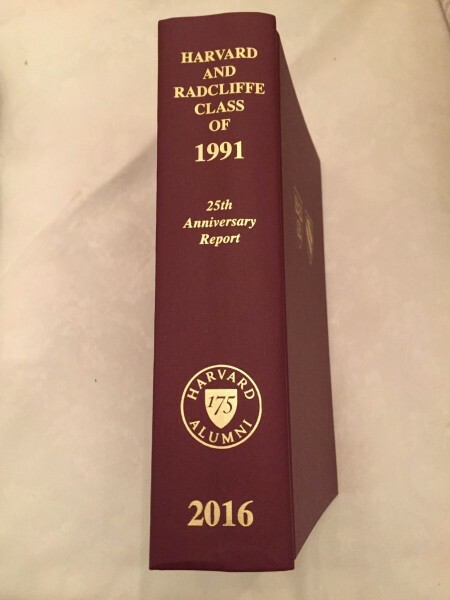 "Today a heavy, red-bound book arrived that chronicles all the achievements of The Class of ’58. It really brought home my own sense of failure. "I stayed up half the night just staring at the faces of the guys who once were undergraduates with me, and now are senators and governors, world-famous scientists and pioneering doctors. Who knows which of them will end up on a podium in Stockholm? Or the White House lawn? "And what’s amazing is that some are still married to their first wives...."
See that link below? That's a link to the ebook of "I Remember the Future" at drivethrufriction.com. Right now (Friday, May 13) the ebook is $4.99, but tomorrow starting around 11 am EDT the ebook will be their Deal of the Day at $2.50! So...mark that link now, and grab it within 24 hours of the deal going live, in case you don't have it yet. Many years ago, there was a teacher named Tim Lynch who was a big Star Trek fan. I got to know him through the Star Trek newsgroups on Usenet, where he would review every episode of each new Star Trek series with respectful and insightful criticism. Now, personally, in retrospect, I think Voyager was a good show, but what you need to understand was that Tim Lynch's words sent shockwaves through the Usenet Star Trek community. The idea that such a dedicated and intelligent fan would make the decision to stop watching Star Trek was unthinkable to many of us. It pointed out to a lot of us how deeply flawed aspects of the franchise had seemed to become by that time. I have been a fan of Superman since before I can remember. Yes, I'm a fan of many characters and stories from popular culture, but Superman is the first one I remember and the one that has stayed with me for my whole life. Except for a short period of about six years, my whole life I have been an avid collector and reader of Superman comics. I went to the three Christopher Reeve movies when they came out (yes, I said three), and I've always been eager for any new Superman TV show or movie. Today, the new "Supeman" movie comes out, Batman v Superman: Dawn of Justice. It's exactly the sort of movie that should make me want to drop everything and see it the first chance I have. I should be moving heaven and earth to try to see a new Superman movie, in the way I did to see the new Star Wars movie last year. But I find I have no enthusiasm for it. I was on the edge of my set for the release of Man of Steel, and the film disappointed me. For this new film, I have heard mixed reviews from all quarters. Perhaps I would find it entertaining. At the very least, I'd be delighted to see Wonder Woman up on the big screen. But this Superman, whoever he is, is not *my* Superman, and so I shrug off this opening weekend and wonder if I'll even bother to seek out the movie when it is finally released to DVD and streaming. Perhaps this is not as significant to the rest of the world as I think it might be; I'm not someone who has been writing about Superman for years for websites, nor am I someone who has even written the character for DC Comics and then pointed out the flaws in the first new film. I'm just a fan, someone who has loved Superman and what he has stood for my entire life. But I'm sad to say that *my* Superman is not the one on the big screen today. Maybe one day, he will be again. For now, I will let the movie pass me by, and instead continue to enjoy and share the character in the other media in which he is still who he should be. Today is the 105th anniversary of the Triangle Shirtwaist Fire. I'm delighted to announce that I'm running for re-election to the Board of Library Trustees of the Public Library of Brookline. This would be my fifth term if I am re-elected. As it turns out, though, I'm facing a contested race this year (yes, again). Two challengers have chosen to run along with the four incumbents (including me) who are running for re-election. Having been on the Board longer than anyone else running this year, and as I am currently serving as chair of the Board (and have been for almost two years), I have the experience our town needs. 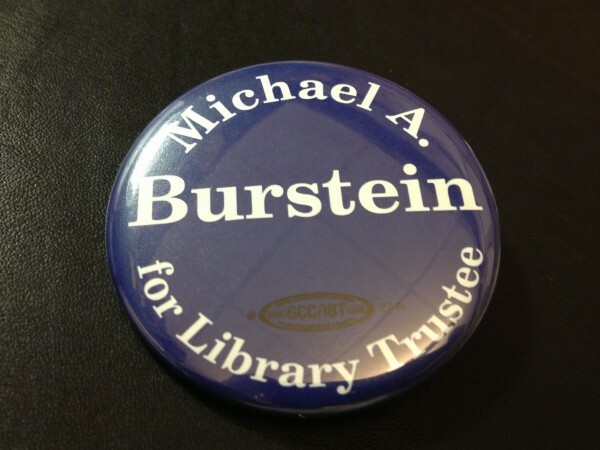 You can find out more about my experience and accomplishments on the Burstein for Brookline website. And, as much as I hate to say this, political campaigns cost money. I am once again actively fundraising. If you are so inclined, please visit the Burstein for Brookline Contributions page to find out how to donate. You can mail us a check or use PayPal. Either way, no donation is too small, and all donations help in getting me re-elected to the Board. March is the month in which Apex Publications has put the ebook of my collection I Remember the Future on sale for only 99 cents! In case you don't have it yet and would like it.